Good service and promt delivery. Excellent service. Ordered at 15:00 on Friday, battery arrived, well packaged, before 10:00 on the Saturday. Excellent delivery time, delivered next day and we are very happy with the battery. This is the third battery I have purchased from Tayna, and of every occasion been impressed with their attention. In the case of the last order, it required a photograph (Tayna's suggestion) and within a very short time frame the correct battery arrived. Refreshingly good service. excellent service, will recommend to other people, delivery on time. YOURS TRULY DAVE. Selecting by dimension, polarity and terminal type ensured I got the correct battery. The battery fitted the very confined space perfectly. So far it has met all expectations, easily starting the heavy 4 litre engine. Order delivered next day. Very well packed. Fitted the vehicle (1995 Jeep Cherokee) perfectly. Battery fully charged and started car first time. Customer service on the phone was 5 *****. I needed an unusual battery and the representative knew exactly what fitted my requirements. The battery fitted perfectly. Delivery was super-fast, no more could be asked of them. Highly, highly recommended. Thank you..
Having had a lot of difficulty sourcing a replacement battery for my jeep, and after extensive trawling through the internet, I came across Tayna Batteries. I found the one I needed quickly and easily and it was promptly delivered on the following Saturday as I requested. 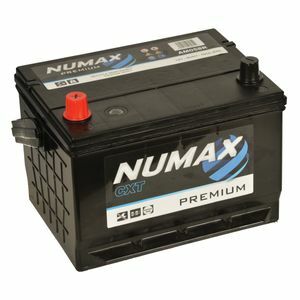 Great price too and a better spec than my original Chrysler battery. There was a little bit of customization needed for it to fit properly but if you don't know how to maintain and work on a jeep, you shouldn't own one. Great match dropped in my jeep xj without problems and is more than powerful enough to start it. Great service and fast delivery at a good price, very pleased many thanks. Great product and quick service. Thanks..
fitted to my jeep and started ok, vehicle not in use yet so can say no more. came next day. GOOD PRICE. Direct replacement, for the now discontinued Mopar original fit battery, in a 96 jeep cherokee 4.0L.Great price and fits perfectly.